I will start with one simple clarification about this meeting and will say that it is NOT an official scrum event, now that it’s on the table, we can move forward and explain why this meeting can be a great addition to your team. The team members will gain an earlier familiarity with the user stories of the next sprint. The team members will acquire the necessary information about the scale of the expected work. The team members will get the chance to assess the range of activity and effort that is needed to deliver the list of stories. The team members will have the chance to reduce the amount of time spent during the planning meeting of breaking down the stories. Based on the tea inputs, New Stories can be added, modified and large stories will break down into smaller items. The meeting stakeholders are the product owner (PO), the Scrum Master (SM) and the team. In two weeks iteration, we will schedule this meeting once at the end of the first week (Usually day after the refinement meeting) and once again in the following week. Now, this suggestion can be modified based on the maturity of the team and the readiness of the product backlog. The scrum master will schedule the meeting and invite the relevant participants, the invitation will include the meeting agenda, location, and goals. 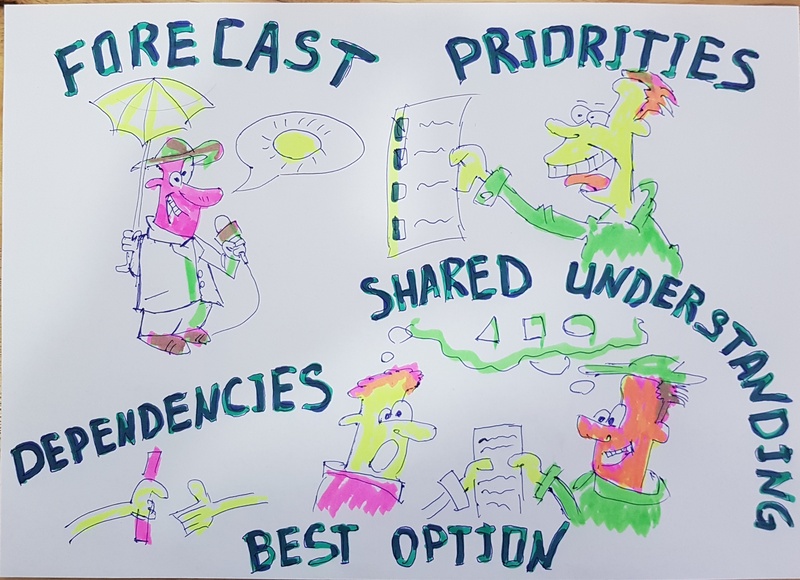 Once everyone has arrived, the product owner (PO) will review the TOP prioritized stories that represent the candidates of the next iteration which need to be estimated by the team. Once the team gains the necessary knowledge, they will start to estimate the stories (Relative or Absolute estimations based on what is more suitable for the team). Based on the team inputs, the product owner will update the product backlog accordingly. The product backlog has a better prioritization. User Stories are created, modified and removed. User stories that contain a rough estimation. User stories with written tasks (Not Estimated! ).